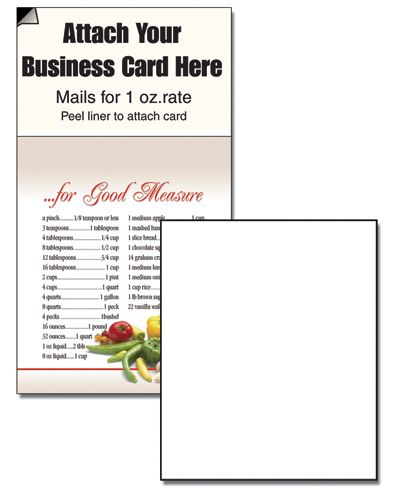 Magnetic Business Card Note Pads-"Blank"
* Magnet features adhesive to apply your business card to p ersonalize. * 20 lb. white bond. * Each pad has a printed 4 color backer featuring kitchen measures.